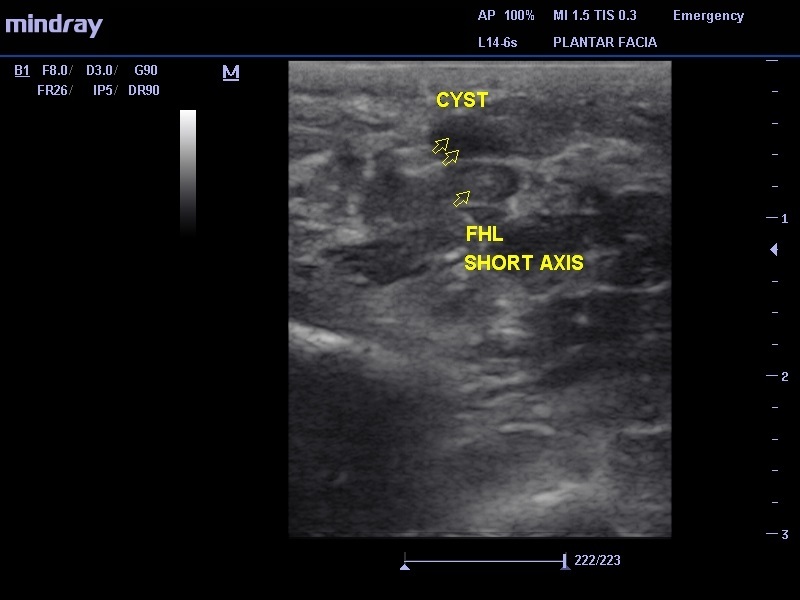 This 52-year-old female patient presents to the office with a history of a bump on the plantar aspect of her left foot. The bump is not painful but just a nuisance. She noticed it approximately 2 months ago while putting lotion on her foot. It became slightly uncomfortable with certain shoes. She can live with the bump, but wants to make sure it’s nothing to be worried about. There was no history of trauma. The patient’s past medical history and clinical exam were unremarkable. 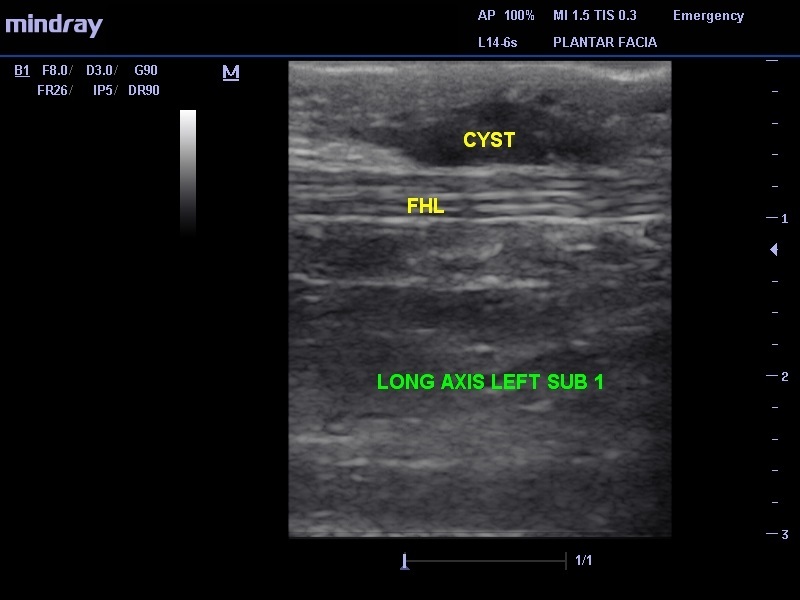 At the area of clinical concern, a freely movable mass was present on the plantar aspect of her left foot just proximal to the first metatarsal head. There was no pain with palpation or with plantar flexion or dorsflexion of the hallux. No redness or swelling was appreciated and the overlying skin was normal. X-rays were unremarkable and included AP, MO, and lateral views of the left foot. 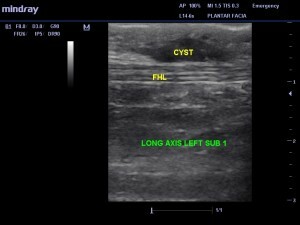 Diagnostic ultrasound is done with 12 MHz frequency and at a 1 cm depth. 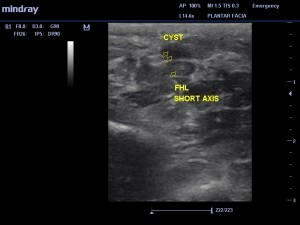 A hypoechoic mass was noted emanating from the flexor hallucis longus tendon on both long and short axes (see Figures 1 and 2). The tendon architecture and plantar fascia were acoustically normal and the mass was only partly compressible.